Denver Dan always loved motorcycles, especially vintage/classic. The style and stories they have hidden within them have always compelled him. He likes purpose built, stripped down style of racing machines. 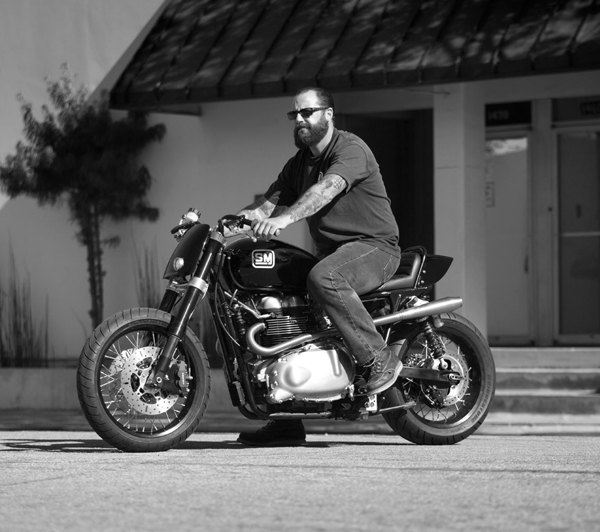 In addition to motorcycles, history and period culture have always been a passion of his. The craftsmanship and styling across all spectrums and mediums in architecture, furniture, automobile and advertising have always fascinated him. The driving force behind all of it is the soundtrack; independent music and it’s DIY ethos is what opened Denver Dan’s mind to all the possibilities in life and its what continues to inspire him. Through common interests and like minds, the Speed Merchant team came together.